Apparel-Merchandising: Which countries will benefit from China's slowdown? Which countries will benefit from China's slowdown? China’s economic slowdown in 2015 will have important consequences for countries in the region and beyond. For most countries, the sub-7% GDP growth expected this year – and in the coming years – would be a cause for celebration. After three decades of double-digit growth, however, the weakening performance of what is now the world’s second-largest economy is a significant source of concern – and not just for the Chinese. But, while China’s slowdown will have negative consequences for some countries, it is also creating opportunities for others. The fate of countries in the region depends on the structure of their economies – and, crucially, how they can adapt to their giant neighbor’s ongoing economic transformation. Countries that produce raw materials, such as copper, oil, and minerals, for manufacturing in China are already seeing the biggest changes. China’s industrial slowdown means a corresponding reduction in world demand for these commodities. Countries such as Kazakhstan and Chile, whose economies are heavily concentrated in such sectors, are finding the contraction a serious challenge. Countries that produce intermediate goods are also feeling the pinch. Japan, for example, manufactures parts and components that are exported to China for the production of consumer electronics. In other words, its value-added exports to the world often pass through China. As a result, China’s slowdown has had a noticeable effect on Japan’s export performance. But the fate of commodity and intermediate-goods exporters is not set in stone. Consumers are not buying fewer smart phones, electronic toys, or computers; the production of these goods will simply move from China to lower-cost producers. Vietnam, for example, has greatly increased its production and exports of smartphones and consumer electronics – an area where China used to enjoy absolute dominance – partly by attracting more foreign direct investment. Other countries such as India and Indonesia could in principle emerge as the new export giants. For this to happen, though, these countries will have to invest heavily in infrastructure and policy reforms that make their logistics and investment climate globally competitive. Another set of countries that have felt the impact of China’s rebalancing sell products and services to Chinese consumers. Despite slower growth, China’s household consumption has been rising and the country’s market remains one of the world’s most promising. Firms that can take advantage of higher consumer spending will do well. Thus far, countries outside Asia – such as Germany with its auto industry and the United States with its high-tech innovation – have been the primary beneficiaries of rising incomes in China. But Asia-Pacific countries have also gained ground. Singapore and Australia are taking advantage of the rising demand for high-quality education in China by expanding exports of college services. Japan is benefiting from Chinese tourists’ aggressive spending habits, so much so that the phenomenon – known as bakugai – has been termed the buzzword of the year in Japan. A third set of countries that stand to benefit comprises those that primarily compete with China. These economies can increase their global market share as China retreats from certain sectors. Precisely because of its own success, China’s labor cost has risen by more than 100% in the last ten years, leaving many other countries – not just Vietnam or India, but also other populous countries like Bangladesh and Myanmar – with much lower relative labor costs. This means that many industries in China have lost competitiveness, and that the Chinese economy’s future growth has to come from innovation and productivity gains, rather than low-wage labor. Bangladesh, for example, has already begun to take advantage of China’s withdrawal from the low-end segment of the garment market. Its production and exports have been rising rapidly, and today Bangladesh is the world’s second-largest garment exporter (after China). So it’s not surprising that Bangladesh and Vietnam are now two of the region’s fastest-growing economies. But the gains to be had from China’s slowdown are not automatic. Because so many other countries are vying to pick up global market share that China is shedding, the region’s developing economies need to pursue a host of reforms and to invest in power, transport, and urban infrastructure to make their overall investment climate competitive. As China’s slowdown is being driven largely by fundamental factors (especially a shrinking labor force and rising labor costs), it should be understood as part of a new normal for the world economy. Because the Chinese economy is so much larger now, even 6% growth today would contribute more to world output than 10% growth before the global financial crisis. 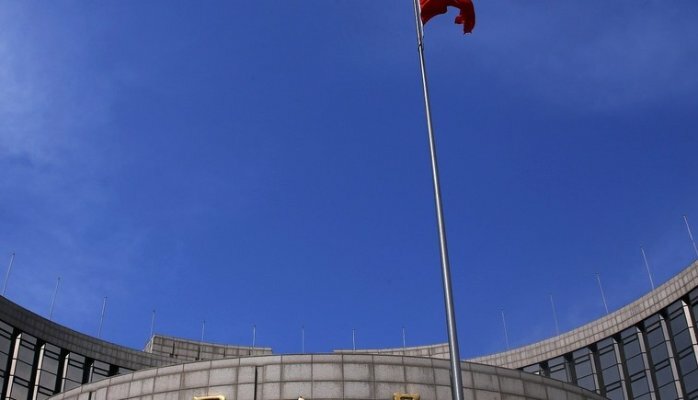 For other countries, the best way to cope with a slowing China is to embrace the domestic reforms needed to reposition themselves within the global economy. Author: Shang-Jin Wei is Chief Economist at the Asian Development Bank and the head of its Economic Research and Regional Cooperation Department. Click to see the original post.